FOIMan begins an exploration of the Environmental Information Regulations. The rabbit hole in question is also known as section 39 of the UK FOI Act (and also of the Scotland Act, for that matter), which leads, of course, to the Environmental Information Regulations 2004 (EIRs). It always seems to me that the EIRs are somewhat neglected so I’ve chosen to devote a series of articles for PDP’s Freedom of Information Journal to an exploration of them. In the first in the series – available here – I look at why there are separate regulations covering environmental information at all, and what exactly is environmental information. The next piece will look at the main differences between FOI and the EIRs, whilst the last piece will examine the exceptions. 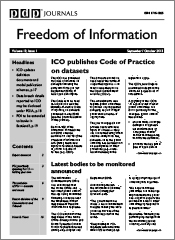 You can read the whole series by subscribing to the Freedom of Information Journal (external link) or just by keeping an eye out for the later articles here on the FOIMan website (and you can ensure you don’t miss them by subscribing to FOIMan posts via the box in the column on the right). If you want training on the EIRs, I can provide this in-house – just get in touch for a quote. Or you can attend one of the courses I’m running for Act Now Training (external link) later this year. Why is my simple query being treated as FOI? June 9, 2011 / FOIMan / Comments Off on Why is my simple query being treated as FOI? FOI Man suggests that how an enquiry is badged is irrelevant – it’s other issues that dictate how long a request takes to answer. A question I get asked a lot is why, when an individual asks a simple question of their local council or other public authority it gets treated as FOI. Their concern, presumably, is that handling a query as an FOI request will take longer than handling it as a routine enquiry. And that organisations are deliberately badging queries as FOI for this purpose. To be honest, this is one of those issues that causes confusion on both sides of the fence. I’ve written previously about the inside view of this. As I said on that occasion, the difficulty is that the legislation doesn’t distinguish between ‘routine enquiries’ in written form and more complex requests that most people would consider ‘FOI requests’. It just struck me as I answered this question again that the complaint about how an enquiry is classed is missing the point. There’s no reason in theory why something should take longer to answer just because it is considered an FOI request by an organisation. It’s irrelevant. The reason why something takes longer to answer, however it is badged, is because there is something about it that makes it more difficult to answer. That might be that it relates to something that is controversial or sensitive. But just as likely it could be that it’s not as easy to find or collate the information as you, as a member of the public, think it should be. It might be that the person who deals with it has gone off sick for the day. There are all sorts of reasons why some enquiries might take longer to answer than others. 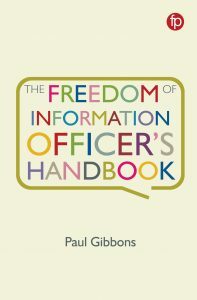 In fact the advice that FOI Officers tend to give their colleagues is that if a query is contentious or novel then they should handle it as an FOI request. But it’s not the fact that it is an FOI request that means it will take longer to answer – it’s the fact that it needs proper consideration. In other words, badging something as FOI isn’t a way of “kicking an enquiry into the long grass”. By definition, it can’t be – we have to answer within a set time limit (and OK we don’t always succeed, but we are obliged to get there in the end). That’s not to say, of course, that some authorities don’t stretch the requirements to the limit. But that’s not a problem with the FOI legislation, and we should remember that FOI has significantly enhanced people’s right to information in the main, not reduced it. If there wasn’t a right to information through FOI, I suspect that many enquiries would never be answered, let alone be answered quickly. So if you are told that your enquiry is being dealt with as an FOI, don’t groan. 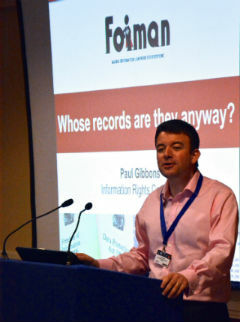 It’s not poor old FOI’s fault. But if you think it’s taking longer than it should, don’t be afraid to ask why with an open mind and a friendly tone.